Meditation group met lunchtime and after school every Wednesdays. Lunchtime meet was spent discussing the purpose and techniques of meditation and then we all enjoyed guided mediations and breathing practices to calm our minds and then invigorate us again for class. The children chose their preferred style of meditation after experiencing Eastern and Western music and different tools to focus. We enjoyed this relaxing time which was enhanced by the beautiful school chapel and its soothing lighting. In these sessions we studied the principles of mindfulness and how we could use them in our everyday lives. 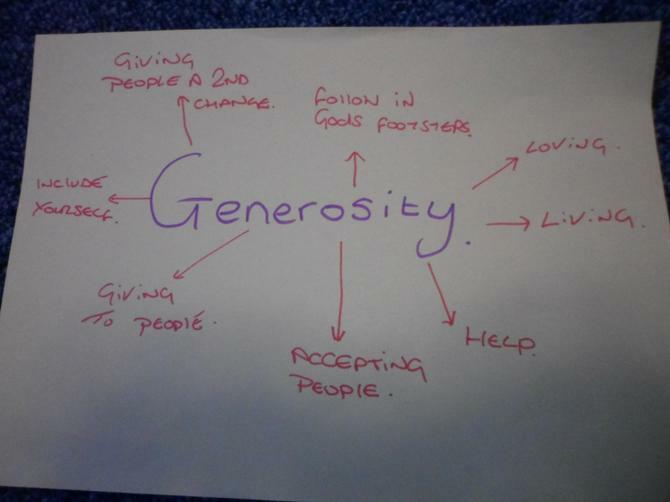 The young people did some lovely group work around generosity, peace, ego and honesty and each session talked about their concerns and added gratitude notes to the gratitude box they created together. We practiced some basic yoga poses and effective breath work to relax and then invigorate to go back to learning.